Japanese, U.S. and European customers have definitely got it made when it comes to cryptocurrency exchanges. Although cryptocurrencies are decentralized and mostly free from all kinds of restrictions when it comes to local regulations, state borders and distances, those who trade and offer said cryptocurrencies for sale on their platforms, very much rely on their location and the laws of the countries where they operate. At the moment, U.S. and Asian exchanges are by far the most dominant on the cryptocurrency market. Some of the reasons why crypto trading is popular there is due to tradition, a bigger user base and a more deeply ingrained crypto culture. Of the top 10 crypto exchanges by market cap, three are based in Hong Kong, two in the U.S. and South Korea respectively, and one in Japan, China and the EU each. The pattern continues even when you include the top 20, 30, etc. exchanges. If you’re a crypto enthusiast living in Australia, however, then there aren’t quite as many options to choose from. In fact, there are only a couple of serious contenders, and BTC Markets is one of them. In our review, we will answer some of the more pervasive questions regarding the BTC Markets exchange, including concerns about the BTC Markets fees and the BTC Markets Bitcoin price, is BTC Markets safe or not and whether there is a BTC Markets app available for iOS and Android. Hopefully, as you read this BTC Markets review, you will learn whether can actually deliver on some of the potential it promises. Is this exchange really a contender or just a bum? Keep reading and you’ll definitely find out. As we’ve already mentioned, BTC Markets is an Australian exchange. The company is based in Melbourne and is very eager to advertise its enthusiasm about blockchain technology, its potential and the role it has to play in shaping the future of the financial industry. The company itself is very concerned with security and reliability – and it shows. The team primarily hopes to attract businesses and professional traders/investors, but there are no restrictions and no special requirements for trading – anyone with an interest in buying and selling cryptocurrencies is welcome to join. Although we’ve been harping on about the tradition of crypto trading in Japan and the U.S., this exchange is no newcomer, either. The exchange has been operating without interruption for nearly four and a half years, ever since it went live in August 2013. In fact, BTC Markets is older than the Australian chapter of the Bitcoin Foundation. When Australian bitcoiners were still getting organized, this exchange was already making the headlines. The company was started in Sidney by Martin Bajalan as an innovative platform, offering both Bitcoin and Litecoin, in spite of its name (BTC Markets). Today, the BTC Markets exchange offers a wide range of different cryptocurrencies. All digital assets available for trading can be traded either against AUD or Bitcoin. The cryptos available are: Bitcoin, Litecoin, Ethereum, Ethereum Classic, Ripple and Bitcoin Cash. Not the biggest portfolio out there, but, especially in the Australian market, the number of altcoins this exchange has to offer is among the exchange’s most outstanding features. After all, the biggest problem most traders face is buying BTC for their country’s fiat currency. If they wish to use a foreign exchange, they are faced with extortionate exchange rates between two fiat currencies (say AUD and USD), and long waiting times for wire deposits. In fact, most of the time, you cannot register to use a cryptocurrency exchange if you’re from another country. Which is why merely being able to buy BTC with AUD opens up a world of possibilities and makes life much easier for Australian traders. In the upcoming section of our BTC Markets review, we’ll be going over the steps traders need to take when they wish to open a new account. We’ll also review the individual features of the account, as well as how to make a deposit/withdrawal. We’re only getting started, so don’t go anywhere! Those who have a bit of experience with other cryptocurrency exchanges shouldn’t take long to get used to the BTC Markets exchange. On the surface, it is pretty much the same as any other crypto exchange. Before you can begin trading, you need to complete three preliminary steps. First you have to create an account, then complete a verification process in line with the Australian KYC and AML laws and, lastly, deposit some funds to your account. With BTC Markets, everything comes in sets of three. To deposit money, you choose between three available methods: bank transfers, card payments, and cryptocurrency transfers. Bank transfers were recently made easier, when BTC Markets implemented BPAY. Having BPAY available on the platform means that money from any major Australian bank can be easily transferred online. There is one thing that is somewhat special when it comes to this exchange, however: zero fees on deposits. While cryptocurrency deposits are often free on other exchanges, BTC Markets is different, since making AUD deposits via BPAY also comes free of charge. POLi deposits are perhaps a less affordable option, since they will set you back $3.30 AUD. If you want to use POLi payments for deposits, you will also have to make sure that BTC Markets supports POLi payments from your bank of choice, since that is not always the case. So, now that we got all that out of the way, how do you sign up? All in all, it’s pretty standard: provide a valid email address and choose a password. To verify your identity, all you need to do is fill in the required information and follow the process step-by-step. Apart from making deposits in AUD, you can also deposit BTC or any of the supported altcoins. We were particularly impressed by how easy and, more importantly, how fast the sign-up process is. Even with the additional steps (verifying your identity), you can begin trading on the same day when you create an account on the BTC Markets exchange. The verification process, making a deposit – it all takes less than a day! The only exception is: if you want to make a deposit larger than $500 AUD, you may have to wait a bit longer. First deposits that are larger than that may take 1-2 business days – that’s how long it takes for the banks to complete transfers sometimes. Naturally, depositing altcoins is way, way faster, but that also depends on your specific altcoin of choice. When it comes to altcoin deposits, however, the exchange team says that you may want to abstain from using a virtual private network (VPN) when you trade on BTC Markets. Although choosing to do so shouldn’t interfere with trading, there have been cases of VPNs making transfer times somewhat slower. It all depends on whether you are in a big hurry or not. When it comes to availability, at the moment, this exchange is only available in Australia. Although you can easily make deposits in cryptocurrencies, the only supported fiat currency is AUD, and to make AUD deposits and withdrawals, you will need an Australian bank account. If you’re itching to find out everything about the BTC Markets fees, the BTC Markets Bitcoin price, is BTC Markets safe or not and so on, don’t worry, just skip ahead to the relevant section. But you may want to read the next part as well, where we take a closer look at trading on BTC Markets. How does it feel to trade on this exchange? What are some of the additional features and options? What does the trading window look like? If you want these questions answered, stay with us for a little while longer. The BTC Markets Exchange tries to find a solid middle ground between offering a large number of features and simultaneously being accessible and easy to use. Like on other exchanges, you can either trade at the current market price or determine a price in advance and place your offer. When you trade on the exchange at current rates set by the market, the exchange calls this “market orders”. The exchange displays the price of the most recent completed trade, which lets you gauge the market rate. When you specify a certain minimum or maximum rate at which you are willing to buy/sell, the exchange calls this “limit orders”. If you go with this option, after specifying the price, you can place your buy/sell orders on the exchange. 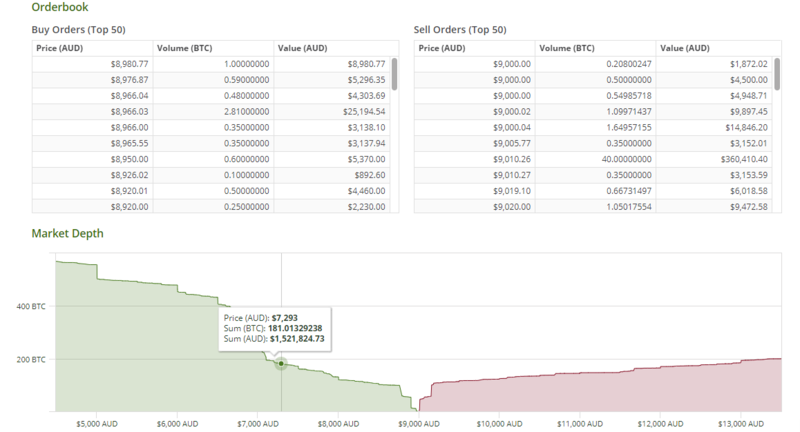 All in all, buying and selling on the exchange is very easy, in large part due to a simple layout. The buy/sell button is clearly displayed, as well as the price. If your trading against the AUD, the total price in AUD will be displayed down at the bottom, as well as your trading fee. On the topic of that, the BTC Markets fees are more than acceptable. In fact, for most trading pairs, the BTC Market fees are very competitive compared to other exchanges. The big selling point when it comes to fees are also the increments at which the fees decrease. On BTC Markets, you are not expected to trade unrealistic amounts of coins before you gain access to lower fees. But let’s not get too far ahead of ourselves. We’ll be covering the BTC Markets fees in more detail in the following section. When it comes to the BTC Markets trading platform, some experienced traders have criticized its lack of analytical capabilities. Since the platform is easy to use, the tradeoff is that the charts are relatively simple and don’t offer advanced capabilities that would impress even the most demanding traders. The charting package is at the top of the platform. Below it, you will find the module for placing orders. Further down, under the module, there’s the order book displaying all buy and sell orders, and then the info on your specific positions. So, top-down, you are provided with an easy overview of all the relevant information that you can review at a glance and follow in logical succession. The only thing that is a bit off is the position of the transaction history and the list of markets on the BTC Markets exchange. Their position at the bottom of the page is not very convenient, especially for active traders, who will want to have the markets at a more visible/accessible place for easy switching. After the trading platform, we’ve reached the point in this BTC Markets review where we talk about the BTC Markets fees. You may want to pay attention, since the fees are an important factor when calculating your gains/losses as well. There are no fees for making Bitcoin deposits to your account. For the funds to be visible, however, you will have to wait for 3 confirmations, which could take up to 30 minutes. 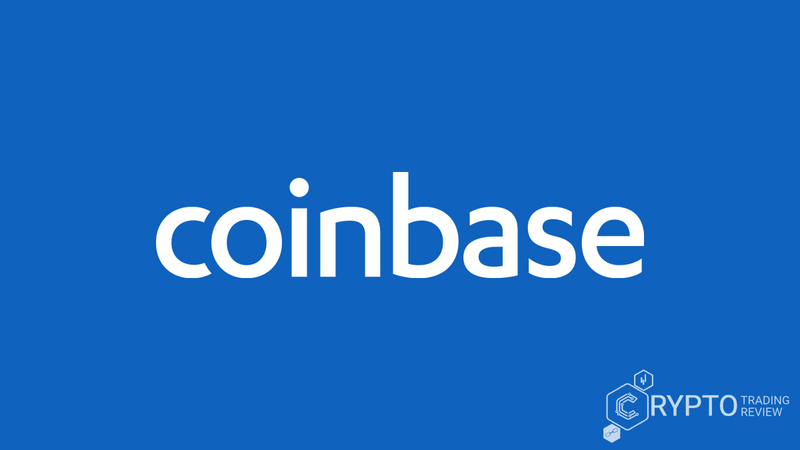 Depositing Litecoin and other available altcoins also comes free of charge. There are no fees for AUD deposits when you use domestic bank transfers. AUD deposits do take longer than BTC deposits, though – up top one business day for the bank to clear the transaction. Also no fees on AUD deposits when you make cash deposits through any Westpac branch in Australia. Westpac is one of Australia’s “big four” banks, and cash deposits through this bank usually take only a couple of hours to clear. To sum up, no fees for making deposits – the fees are exclusively trading fees, with vary small fees for withdrawals. The only exception is the POLi fee for deposits, equaling $3.30 AUD (inc. GST). As you can see, there are withdrawal BTC Markets fees, but only for cryptocurrencies. Those fees are most likely used to cover the mining/network fee, since withdrawing AUD via bank transfer is completely free of charge – and that’s what really matters. 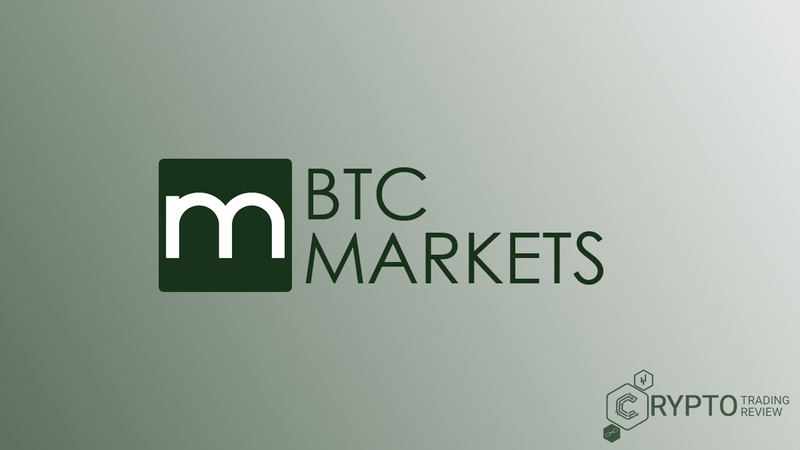 For trading fees, though, check the next part of our BTC Markets review! As we have already mentioned, BTC Markets primarily makes money through trading fees. The BTC Markets fees for trading depend on what you are trading. When it comes to cryptocurrency trading pairs, you can trade altcoins in exchange for BTC, but you cannot trade two different altcoins directly. When you trade crypto only pairs, including LTC/BTC, ETH/BTC, ETC/BTC, BCH/BTC, and XRP/BTC, the BTC Markets trading fees are charged at a fixed rate of 0.22%. When you sell/buy cryptocurrencies for AUD, the fee changes depending on your 30 Day AUD trading volume. It is important to remember, however, that trading cryptocurrencies only, no matter how much you trade, does not count towards your AUD trading volume. The trading fees for BTC/AUD, LTC/AUD, ETH/AUD, ETC/AUD, XRP/AUD, and BCH/AUD start from 0.85%, when you trade less than $500 AUD over a 30-day period. For traders who trade between $500.01 and $1,000, the fee is 0.83%. From there, the fee just keeps on decreasing – 0.50% for trading volumes between $70,000.01 and $80,000. The lowest possible fee is 0.10% for those few traders who trade more than $5,000,000. The trading fee that you get charged is based on a “rolling 30-day total” of your AUD trading volume for all trades, no matter which of the available cryptocurrencies you are selling or buying. So, if you have been trading BTC/AUD 50% of the time, and ETC/AUD the other half, both count towards your total trading volume. Your trading volume gets updated every 4 hours. The fee is calculated the moment you create an order, not when the order goes through. So, in case your trading fee gets updated, and you haven’t been trading much lately, you’ll still get the lower fee. All of the fees include GST for Australian residents, which means – no unexpected additional charges. The thing we like about the BTC Market fees is how simple they are. Easy to follow, easy to understand, with no hidden charges and no small print with caveats left and right. For a lot of users, since the exchange is not a scam and the fees are obviously fair, the info we have provided so far in our BTC Markets review may be enough to decide whether they are interested in signing up or not. Still, for the more demanding users, there are still several topics we need to cover. The first one among them is the question of the BTC Markets app. If you are a mobile user, don’t miss the following section. Some users may be disappointed to hear that there is no official BTC Markets app at the moment. Still, the exchange is compatible with several user-submitted apps which offer some basic functionality, such as monitoring the prices of cryptocurrencies on the exchange. The most popular unofficial BTC Markets app is the HODL Alerts, developed by uCentric Apps. The purpose of the app is to provide market data for btcmarkets.net in real time, making life easier for traders who are often on the move. The app is rated 4,2 on Apple’s App Store, with a higher (and impressive) 4,8 rating on Google Play. The prices displayed are all in AUD, and the app even has the option of enabling price alerts via Push Notifications. Tracking the total value of your portfolio at once, simply by entering the exact amount of each cryptocurrency on your account. Accessing market data, including the order book and info on recent trades, as well as handy charts for all coins available on the exchange. Adding cryptocurrencies you trade the most to your favorites for easier navigation. Nice and simple HODL Today Widget, allowing you to view all crypto prices at a glance. The users mostly praised the app, since the BTC Markets exchange itself is not particularly mobile friendly. What the users loved the most was the app’s simplicity, the ability to toggle your holdings, and the price alerts. The developers respond well to user suggestions and usually add features within a couple of updates. When it comes to big questions, “Is BTC Markets safe?” is probably the biggest one we have left unanswered so far. 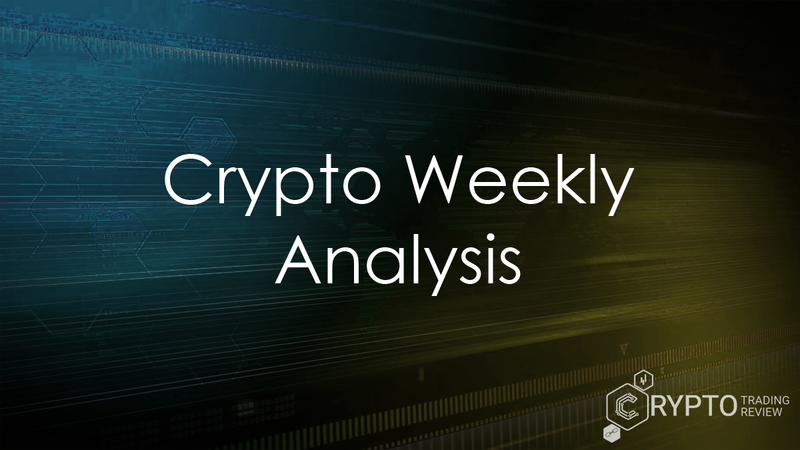 If you are concerned with safety, keep reading our BTC Markets review! To answer the question is BTC Markets safe or not, we have taken the time to compare what the BTC Markets team is doing to protect its users compared to other exchanges. We have also taken into account the impressions and experiences of veteran users. In a lot of ways, the safety features offered by the exchange are pretty standard. They do everything by the book, but they also try to strike a balance between safety and user satisfaction, so as not to scare people off with oppressive requirements such as government-issued documents and unnecessary waiting times. Like other cryptocurrency exchanges, the BTC Markets exchange uses both hot wallets for immediate trading and cold wallets for storing customers’ funds and crypto reserves. The exchange’s cold storage is obviously offline, but it is also not in the same location as the main corporate office. Instead, funds are stored in multiple locations, in addition to being encrypted, which makes linking wallets with users or particular private keys practically impossible. Even though the BTC Markets exchange offers safe storage, the company remained true to the principles of decentralization. In line with that philosophy, users are advised to manage and safely store their own funds in a separate wallet. To make sure that the BTC markets exchange always has a sufficient amount of funds to process all trades, the team runs reconciliations of all funds twice a day for digital assets and every hour for funds in AUD. This also has the additional benefit of making sure that all the numbers are right, since all mistakes can get discovered very, very quickly. BTC Markets is also very dedicated to following AUSTRAC (Australian Transaction Reports and Analysis Centre) guidelines. To protect users’ accounts, the site has implemented two-factor authentication, for example with Google Authenticator. The best thing about the exchange, especially when it comes to safety, is the company’s customer service. The team is dedicated and available for all inquiries 12 hours a day, from 8am to 8pm, a bit less during the weekends. 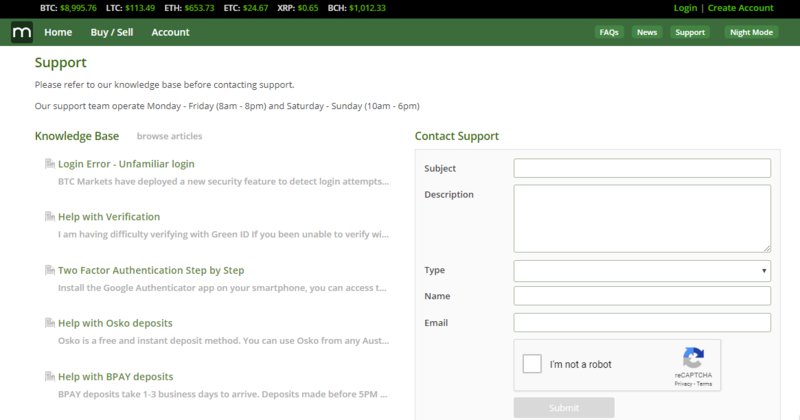 You can contact the BTC Markets customer service directly through the BTC Markets exchange platform or through social media, if needed. For a bit more on security, you can read the next section of our BTC Markets review, with some exciting news. If you want to hear our final word or what the users have to say, then skip all the way to the bottom. The next bit is interesting, though – just saying. A lot of the time, the question “Is BTC Markets safe?” actually translates as “Is BTC Markets a scam or not?” Hopefully, the recently published news of BTC Markets becoming the first gold-certified cryptocurrency exchange in Australia will finally put that question to rest. The beginning of 2018, especially February, has been particularly rough on crypto exchanges – what with the Coincheck NEM theft sparking regulation in Japan, what with the SEC requiring all American exchanges to register. In Australia as well, AUSTRAC has been talking about regulating all digital currency exchange businesses. Just as everyone was talking about what form the regulation may take, BTC Markets became the first crypto exchange in Australia certified by the Australian Digital Commerce Association (ADCA). The association is the leading industry body for the digital currency industry in Australia. After the Senate conducted an inquiry into digital currencies, the ADCA introduced its own Digital Currency Industry Code of Conduct – the Australian self-regulatory gold standard. As the first cryptocurrency exchange certified by the ACDA since the introduction of the Code of Conduct, this exchange has clearly shown its dedication towards following the increasingly demanding industry standards. The certification’s main purpose is to allow users to more easily identify safe, fair, and user-oriented businesses. Still, industry insiders giving away awards is one thing, while users and their experiences are something completely different. If you would like to read what the users have to say before making a choice, we’ve got you covered, with user-submitted BTC Markets reviews coming right up! Even though the user reviews are mostly positive, the only question that matters is whether the BTC Markets exchange is right for YOU. For the final countdown of all BTC Markets pros and cons, as well as some concluding remarks, stick around for the final part of our BTC Markets review! To follow up on the previous section, who is the BTC Markets exchange for? Who is the exchange’s target audience? According to a number of reviews, and especially after seeing who has been using the exchange the most, it seems like the BTC Markets is a good option both for beginners and experienced traders. Even though the exchange is simple, it is also very reliable and professional enough to appeal to veterans. BTC markets is certainly easy to use and simple, yet effective. Safe and certified by the ADCA. A satisfactory number of crypto pairs. Option of automated trades: a public API programming tool – pro-friendly! There are some exchanges with lower fees at low trading volumes. Considering that some exchanges don’t charge maker fees, if you are primarily the market maker, you may be at a disadvantage. Still, trading only on BTC Markets is easier than juggling two exchanges and then paying for crypto transfer fees, which BTC Markets does not charge. Primarily mobile users might hate the fact that there is no official BTC Markets app. Unofficial options are practical, but are not a real replacement. Overall, if you are a crypto trader in Australia, we can earnestly recommend the BTC Markets exchange. After all, BTC Markets was the first exchange certified by the ADCA, so it should definitely be your first choice.